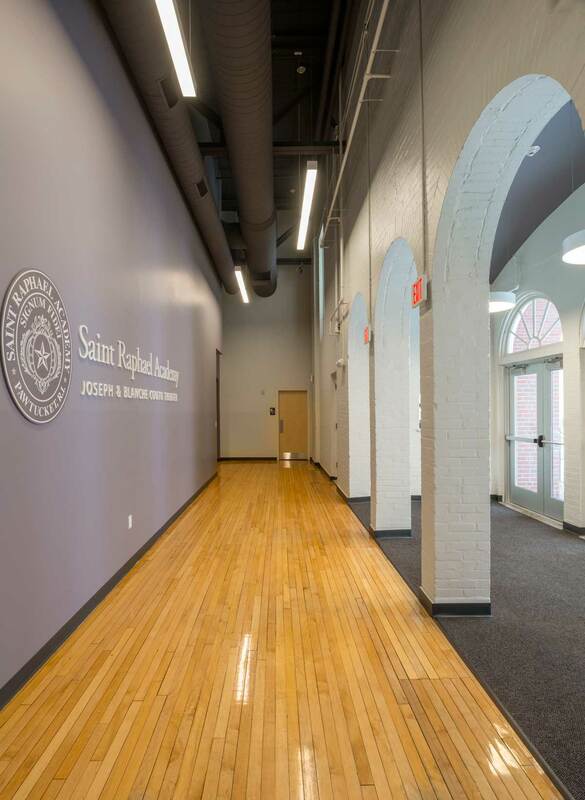 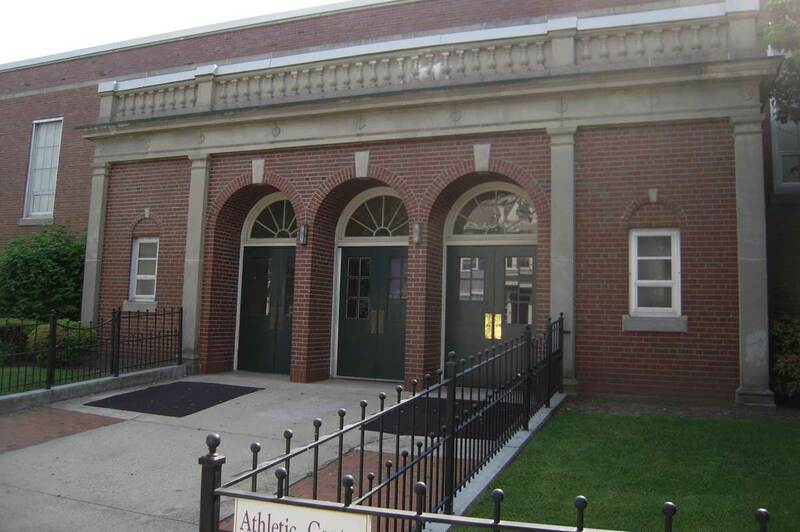 Renovation of circa-1925 gymnasium facility, repurposed exclusively for a new state-of-the-art space for the Fine Arts, located in one of the seven-building, historic campus, maintaining the historical integrity of the Academy’s Quality Hill campus. 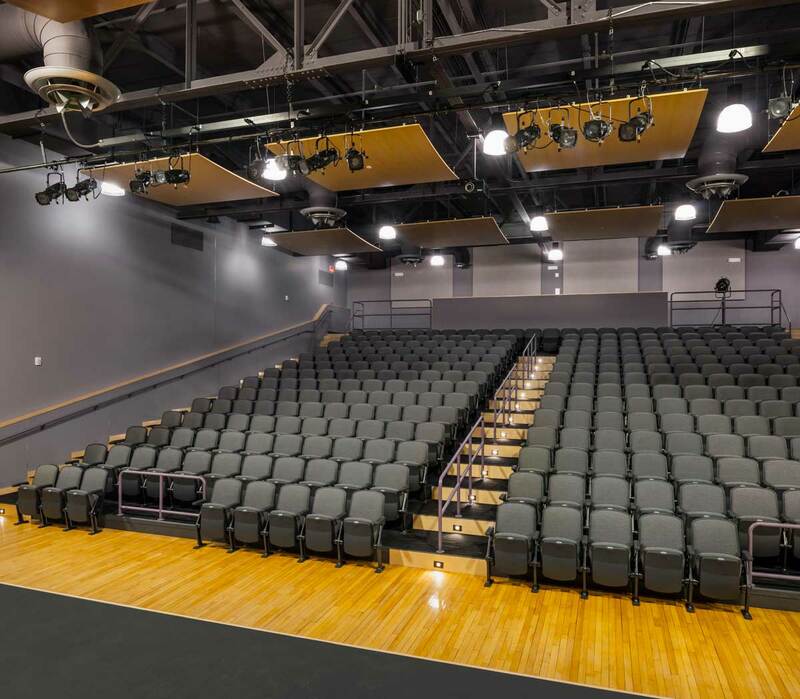 The design boasts an intimate setting of stadium-style 300-seat performance space, 1,600 s.f., art gallery, ticket booth, restrooms, and improved storage and set-design space. 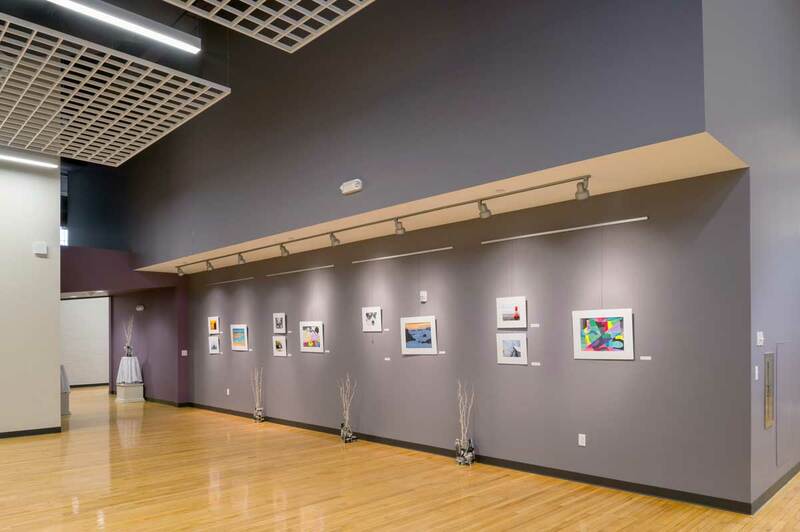 Leading from the lobby into the theater, the hallway walls feature alumni artwork and a gallery space before entering the theater. 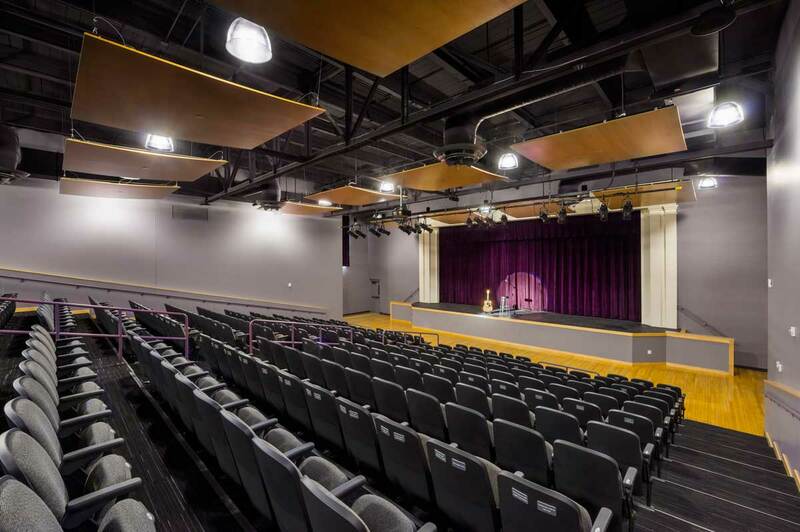 Flexibility is a key design feature of the project. 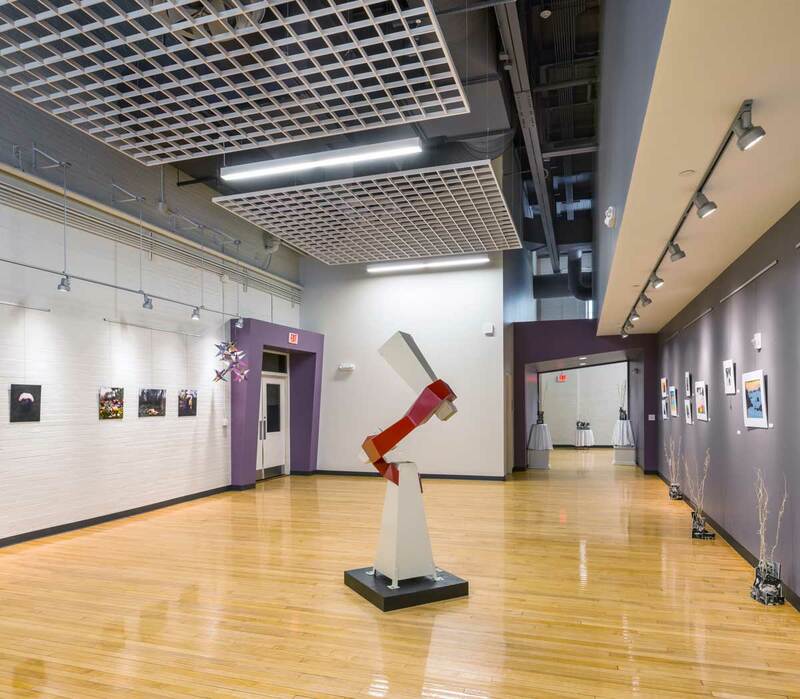 The front-of-house area is a two-story lobby featuring the original building entrance archways, renovated coat closet and ticket booth leading to galleries for visual arts exhibitions. 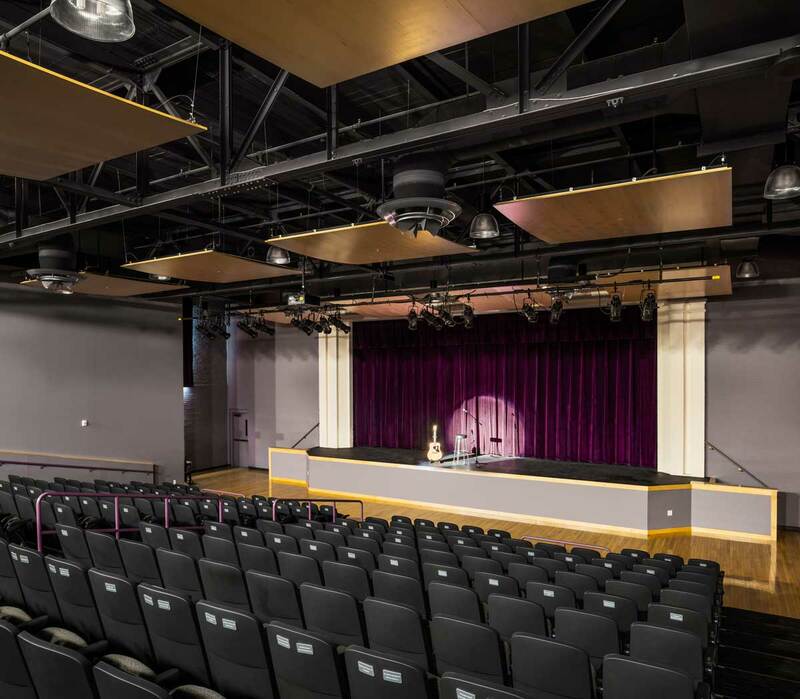 The open ceiling permits flexible installation of lighting and sound equipment, while acoustical panels dampen sound among the black roof girders. 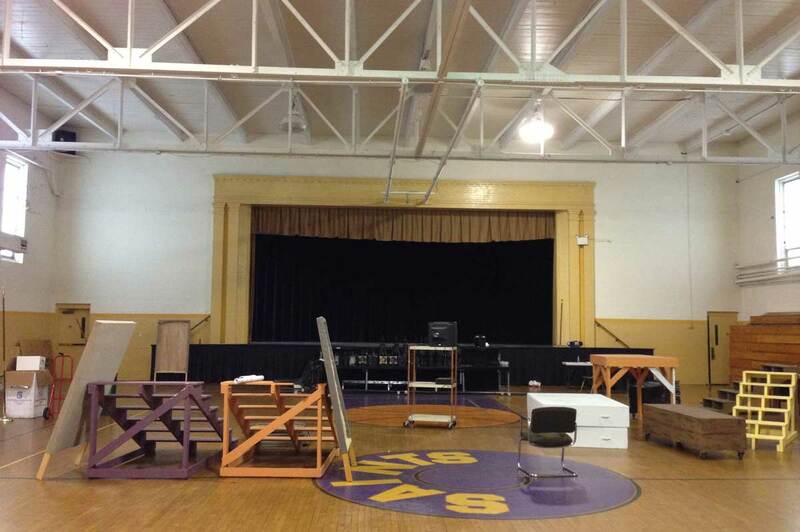 Under the stage is a storage area enabling convenient storage of instruments and sets. 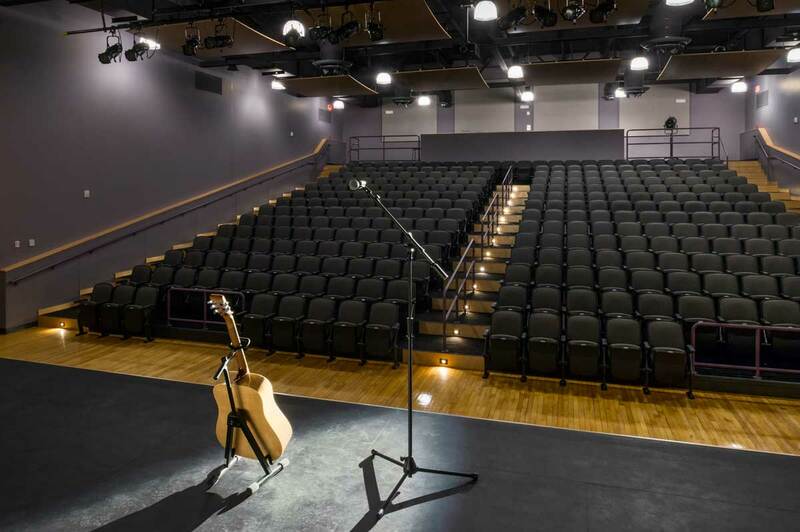 The new theater design meets one of the Academy’s primary goals of improved acoustic performance. 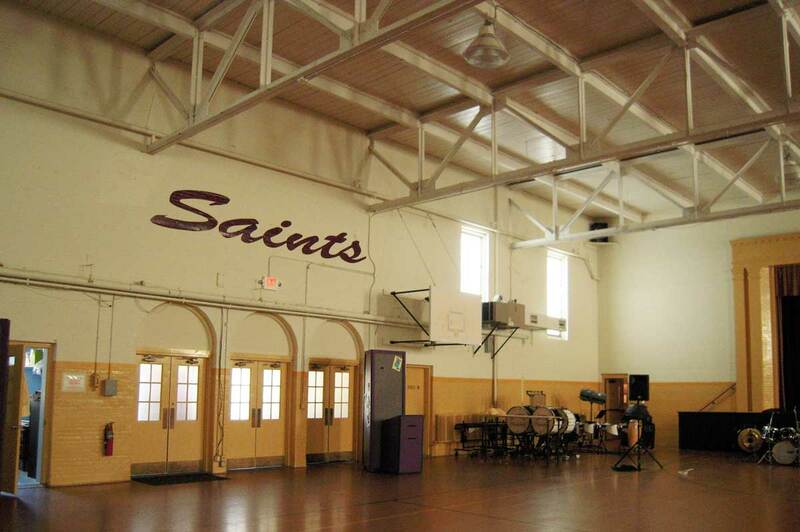 The old gymnasium, with its hardwood floor, masonry walls, and wood roof structure, suffered as a noisy, inappropriate performance venue. 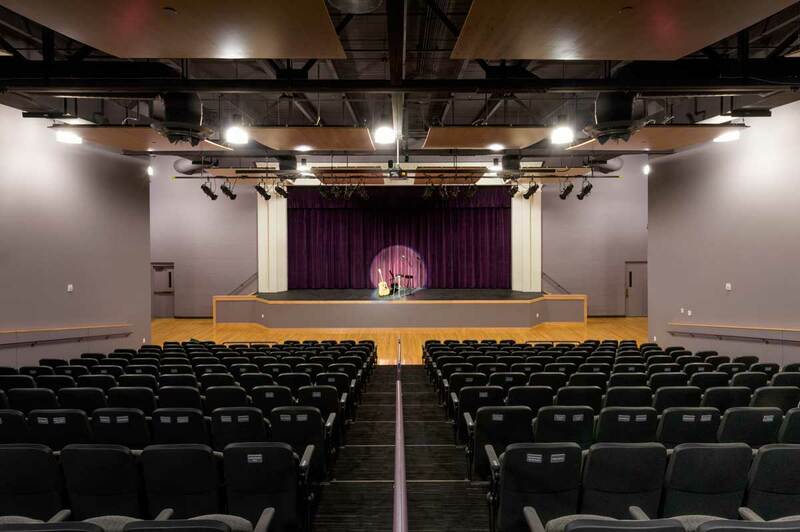 The result is a performance space which will serve the Academy’s award winning drama club for many years to come.